Recent studies have shown that the lifespan of a dollar in the Asian community is 28 days, in the Jewish community the lifespan of a dollar is 19 days, and the lifespan in the Black community is approximately six hours. Six entire hours. In the wake of this year’s election results, it’s time for us to truly get in formation and start pouring back into our community with a sense of urgency. In order for us to create wealth, prosperity, and become independent as a people, we must build and maintain our businesses together. 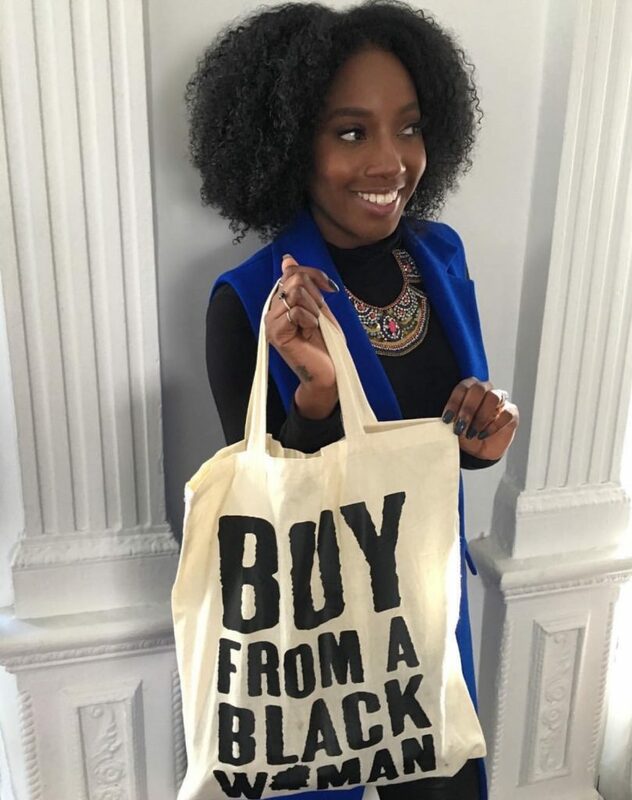 While I understand that the notion of buying Black exclusively is unrealistic for many, just imagine how unstoppable we would be if even half of our buying power of $1.3 trillion dollars stayed within our community. 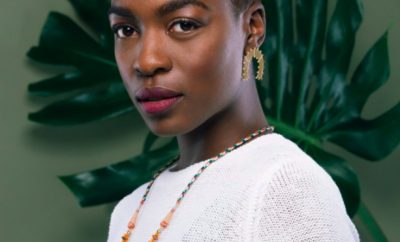 A A K S was founded by Akosua Afriyie-Kumi with the goal of introducing the world to her favourite weaving techniques done by the women of Ghana while also creating and igniting sustainable jobs within Africa. Handcrafted in Ghana, A A K S creates bags in styles that maintain the spirit and durability of their ancestral counterparts characterized by bright exuberant colours. Printed •Pattern• People is an exploration of cultures by way of fashion. 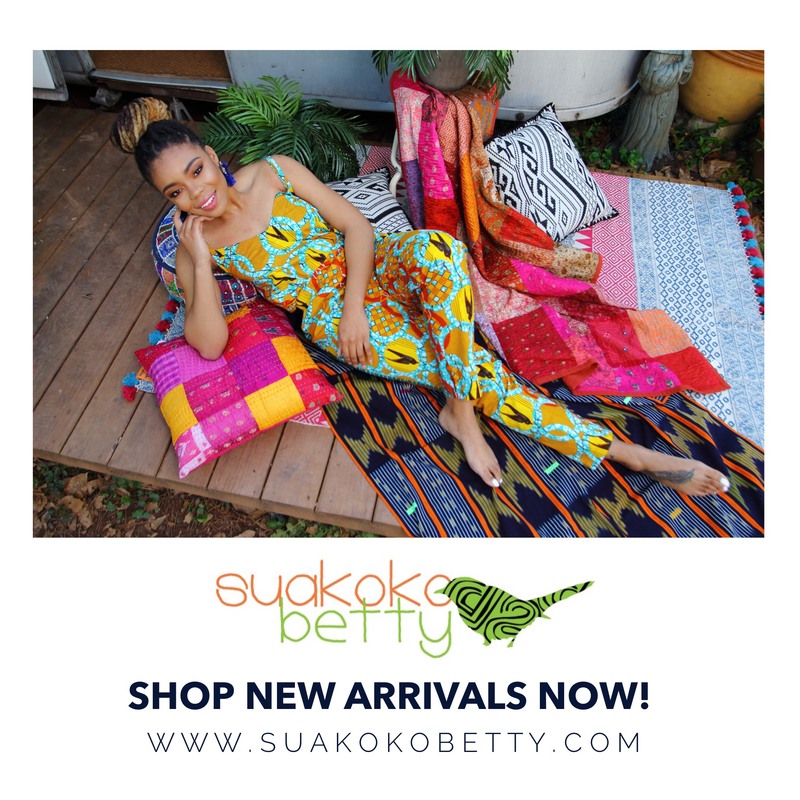 Founded by Akosua Afriyie-Kumi, the brand seeks out textiles rich in color, print, pattern and texture from artisans around the globe, to incorporate into its line and to showcase the handmade work and love of these cultures in its pieces. 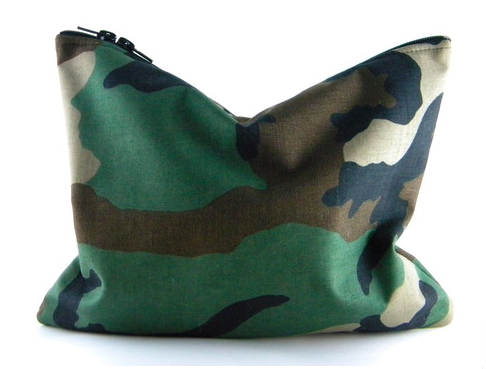 Handbag designer Courtnie Elizabeth got her start in 2011 with the help of her grandmother, who taught her how to sew. The rest, as they say, is history as Courtnie’s large over-sized clutches have become statement pieces among fashionable women world-wide. 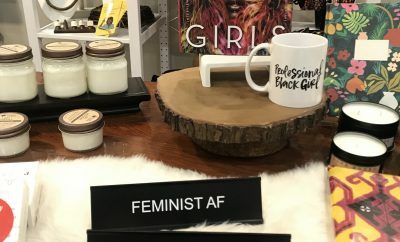 Buy from a Black Woman (BFABW) is an Nonprofit Organization founded by Nikki P. that sells merchandise in support of Black Women and helps bring awareness to Black Women business owners as well as the people who support them. PRETTY GIRLS SWEAT founder, Aeshia DeVore Branch, grew tired of the alarming obesity rates plaguing youth and set out to create solutions with a highly engaging, socially driven media platform that encourages girls to “make fitness fun” and “sweat with purpose.” The brand’s fitness parties, digital content and inspiring apparel form a “Sweat Sisterhood” uniting women to raise awareness for childhood obesity, become health leaders, and give back to under served communities. 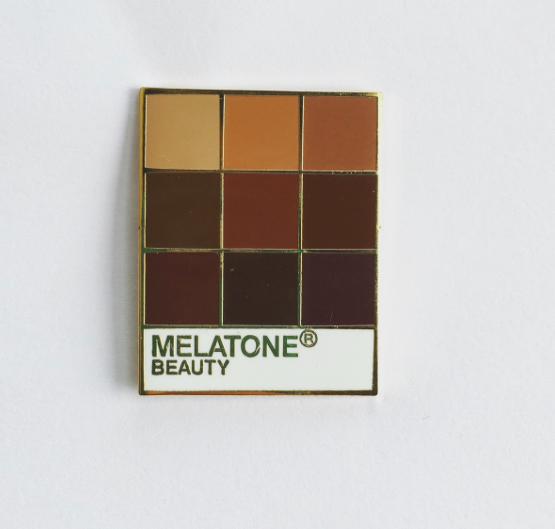 Coloring Pins, started by Essence Murjani, is a brand that represents people of color, the mis- and underrepresented. Through their assortment of pins and patches, Coloring Pins’ mission is to help people to feel and see themselves in a very popular market. 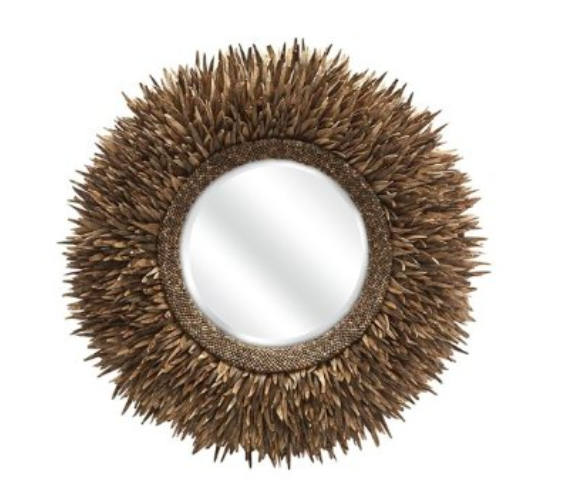 William + James was inspired by the lives and work of two of the most influential men of the 20th century – William Edward Burgdhart DuBois and James Baldwin. Like the intellectual iconoclasts the brand is named after, William + James’ haberdashery focuses on providing an idealized look for the superior man. 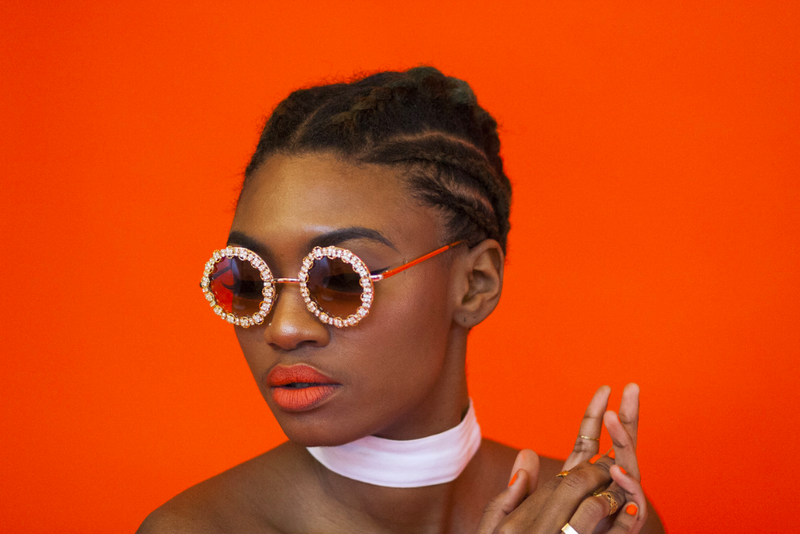 Peppered with influences from her colorful Caribbean background, jewelry designer Samantha Smikle creates eyewear designs bejeweled in 14k gold plated metals, semiprecious stones and other transformative materials. The handcrafted New York-based brand is carried in Urban Outfitters UK and private boutiques in Hong Kong, Dubai, Greece, Canada and Miami. Select styles are exclusively available in limited quantity. After years in New York and Chicago respectively, the founders of The TEN Nail Bar, Kelli and Anika, decided it was time to return home and launch a business that would address an unmet need. 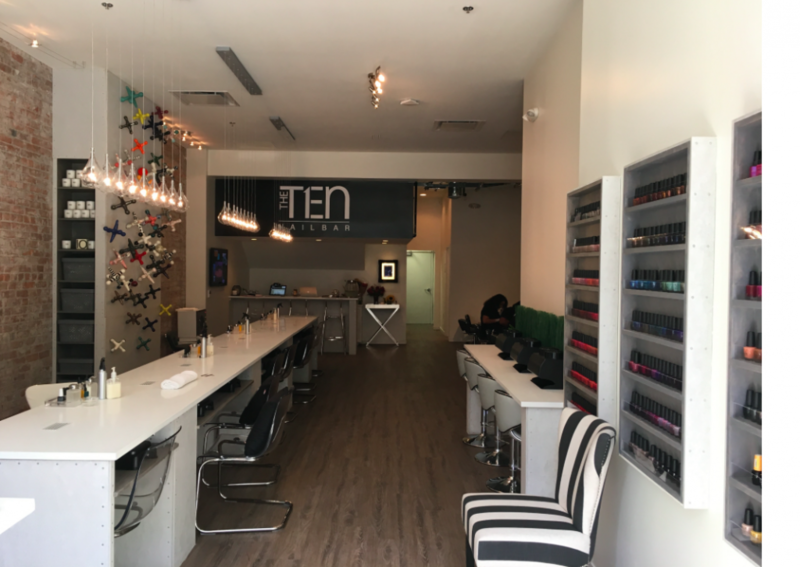 Ultimately, they designed The TEN to provide clients with a #Perfect10 experience complete with relaxation, music, a drink, a clean and precise manicure and a much needed break from hectic work days. 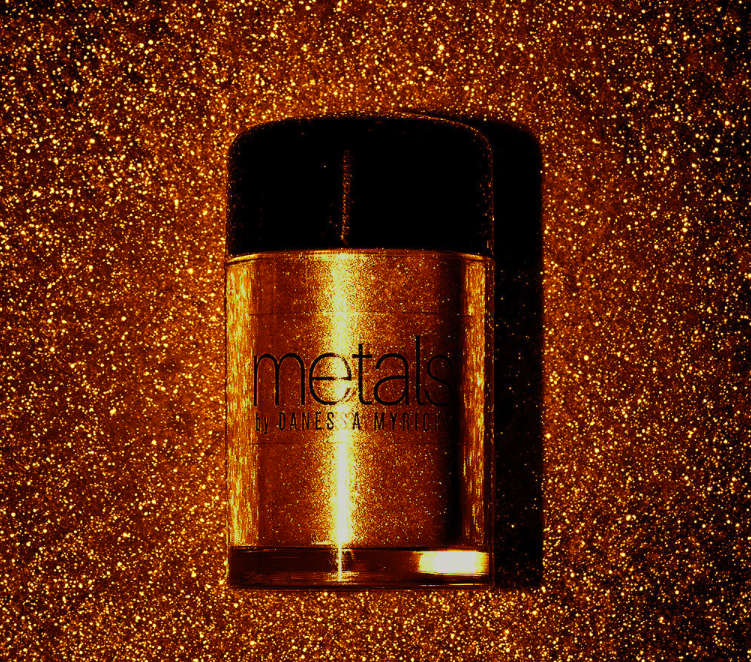 Danessa Myricks Beauty, is a global beauty blend of professional insight and wearable cosmetics available to every makeup devotee on the planet. Danessa herself is a makeup maverick whose eye for photography has encapsulated her ideals of beauty. 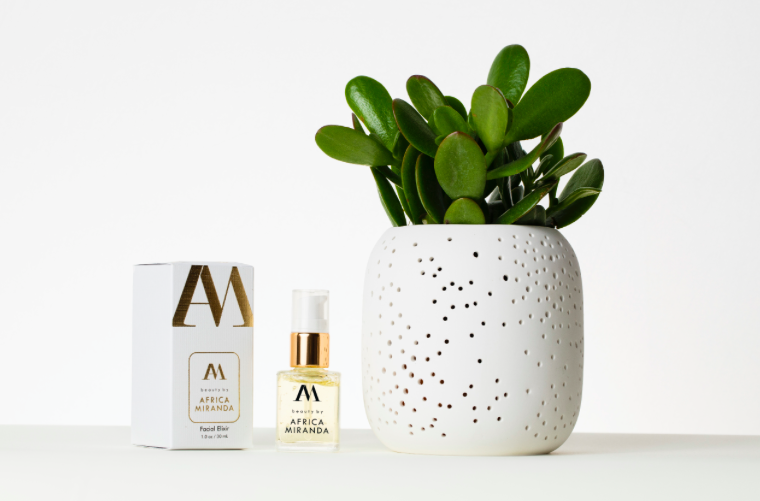 Beauty, tech, and travel maven Africa Miranda is gearing up to launch beauty by Africa Miranda on Nov. 17, 2016. This innovative beauty and lifestyle line will feature a collection of curated products inspired by her international adventures. The first offering, the Facial Elixir, is born of Africa’s special connection to the beautiful city of Rio de Janeiro. Lovingly called “Brazil in a bottle,” the Facial Elixir helps to recapture the vacation “glow” using Brazilian ingredients Maracuja Oil and Cupuacu Butter. After reading Jon Gordon’s book, The Seed: Finding Purpose and Happiness in Life and Work, Latoya Thompson was overwhelmed with inspiration and determined to start living a life with purpose. Consequently, she founded Heritage1933™, a beauty company based out of St. Louis, Mo. that challenges the narrow perception of beauty, while investing in the lives of others. T-Roots, Tamy Cozier’s brainchild, is a handcrafted line of hair and beauty products made from the very best nature has to offer. Briogeo founder, Nancy Twine, is no newcomer to the beauty-sphere – in fact, she made her first foray into the world of natural product formulation at the ripe age of five. 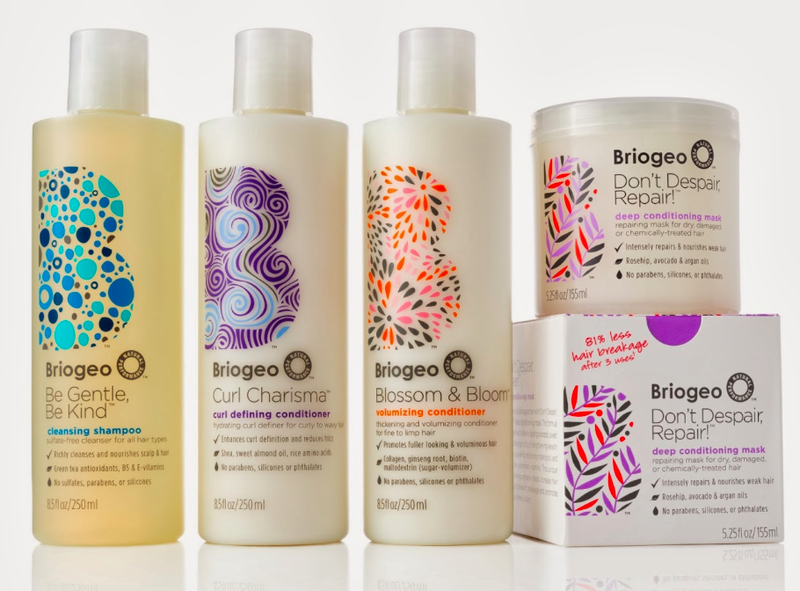 A refreshing deviation from a market saturated with products backed by big-name celebrity stylists and deep-pocketed corporations, Briogeo takes it back to basics, offering a high-performance, hair care collection that is naturally based, yet performance driven to provide visible results. As a dedicated vegan and mother of five, Janell Stephens first developed a love for crafting home remedies with naturally healing ingredients. 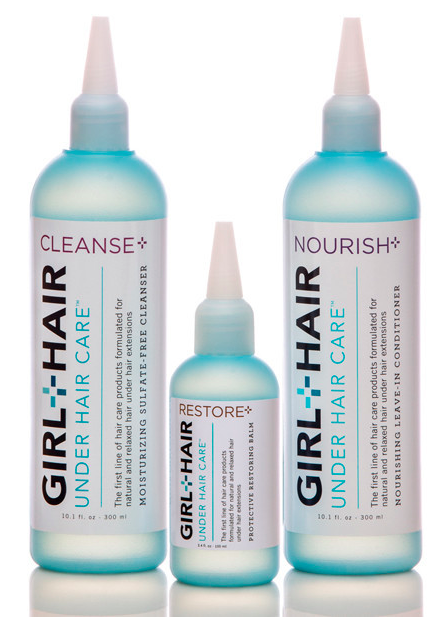 Today, her collection of gourmet ingredient-inspired hair and body products offers clean living sophisticates a conscious beauty solution, complete with succulent scent blends and moisture-rich benefits. 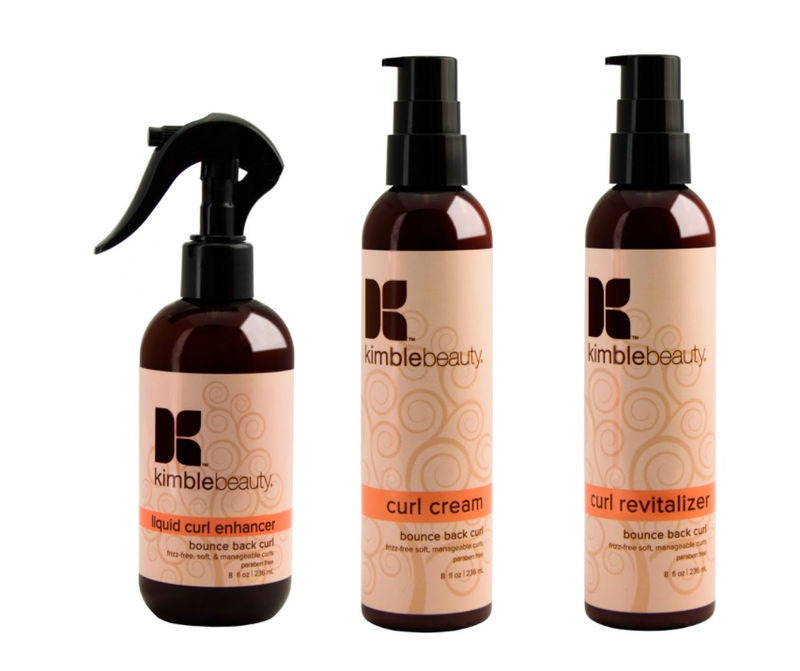 Created by celebrity hairstylist Kim Kimble, Kimble Beauty is all about the philosophy that healthy hair and great styling can co-exist. Aiming to fill the void in the hair styling tools market for quality, durable, and beautiful products, Amber Randall founded Eternally In Amber in May 2014. 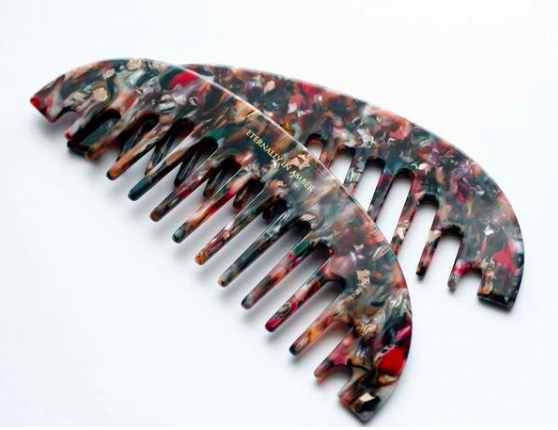 The full line includes luxury hair combs, brushes and colorful hair accessories. 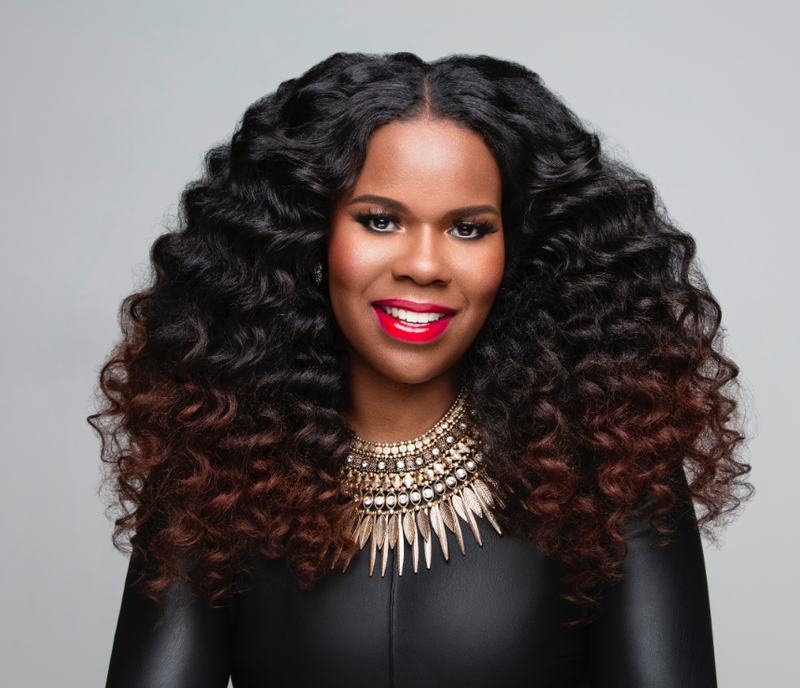 As Founder and CEO of The Mane Choice, Courtney Adeleye built her hair empire from the ground up by incorporating her specialized knowledge base with her own curiosity. Years later, The Mane Choice continues to rank among its users as a premium multi-cultural healthy hair growth and retention company. Selma Idris’ THE BROWN CRAYON PROJECT™ is the first certified-organic, all natural line of skin and hair care products intentionally designed for babies, toddlers and children of color. 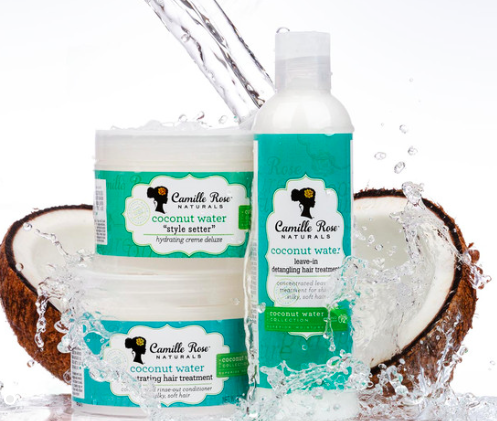 Moreover, the brand provides parents and caregivers with a superior line of soulful, effective, safe, certified-organic solutions formulated to heal, protect, nurture and nourish the skin, scalp, hair and egos of our babies, toddlers and children. 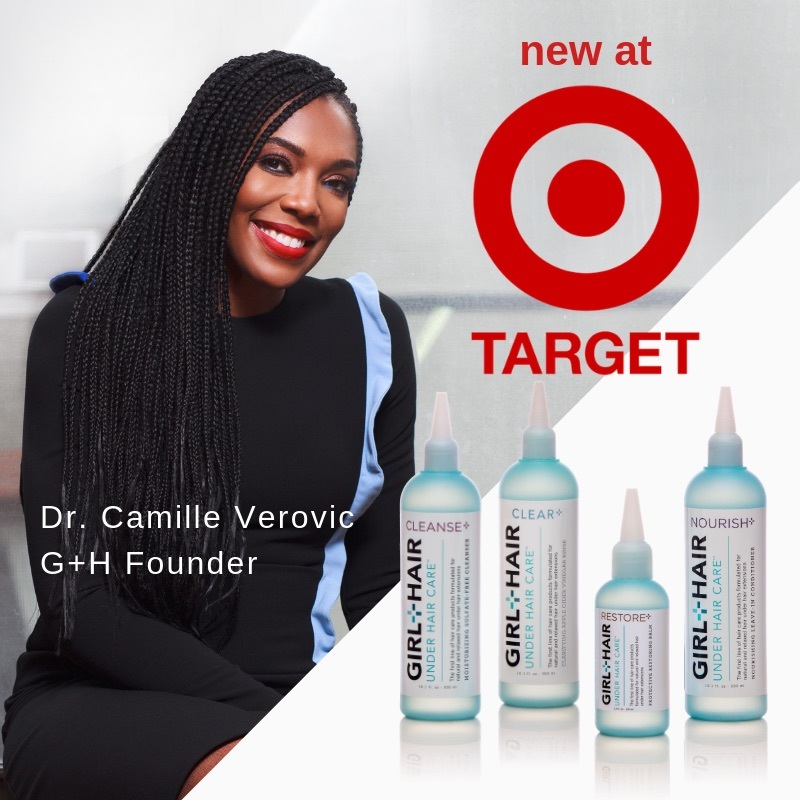 The story of Girl+Hair (GirlandHair) starts in 2009 when Founder, Dr. Camille Verovic, former marketing professional turned doctor, sought out to find healthy products to care for her natural hair after her “big chop.” A sophisticated concept that is the first of its kind on the market, UNDER HAIR CARE™ offers the most ideal hair care regimen for cleansing and protecting your scalp and natural hair while wearing protective styles. Discovered in Brooklyn, NY in 2010, Farai, is a sustainable and ethical lifestyle brand that focuses on people, product and planet. 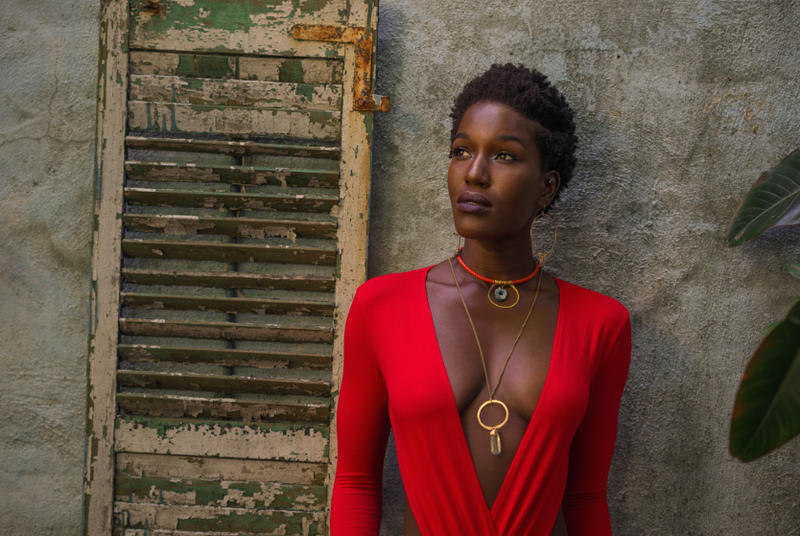 Founded by Farai Simoyi, Farai’s products are designed and manufactured in the heart of the NYC Garment District with African artisans using sustainable practices and materials. Since 2015, guided by an artistic eye, a drive for aiding chronic pain and a desire to spread self love, Kayla Phillips has fused unique crafting techniques and century old ideas with new knowledge to create interesting products and life changing experiences. 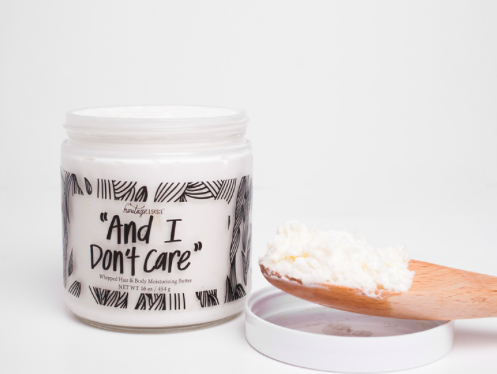 Each product is made in small handmade batches and tested by Kayla herself, making every item extra special. 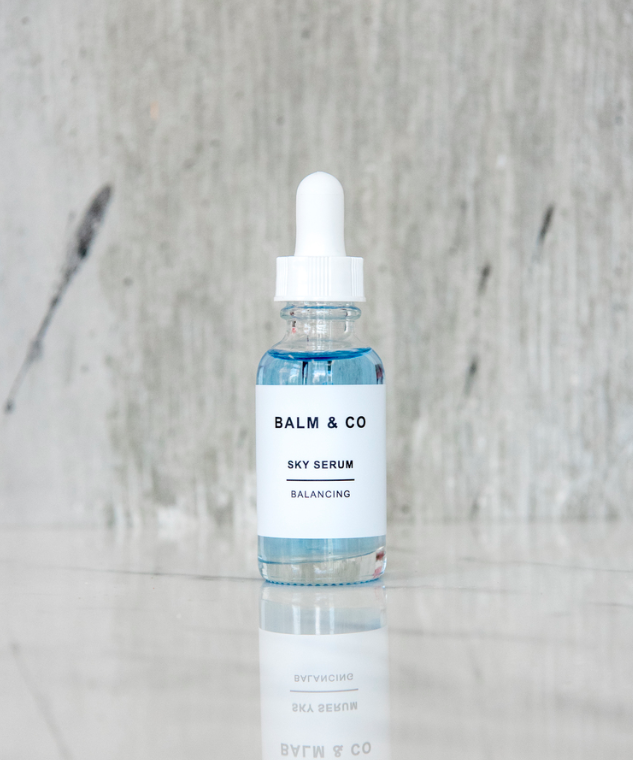 Founded by blogger and author Alex Elle in 2014, Balm & Co. features products that are naturally healing, non-toxic and safe for the whole family. Moreover, every item is created nationally and in small batches with the intention of bringing holistic, planet and people friendly skincare to those near and far. 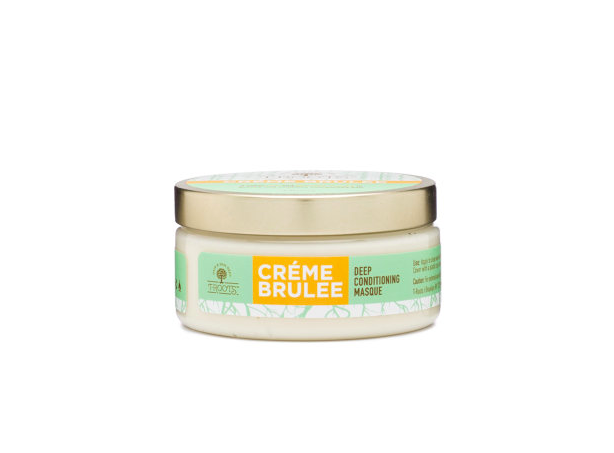 She’Neil Johnson’s BASE BUTTER is an all-natural, multi-purpose beauty product for one’s lips, skin and hair. 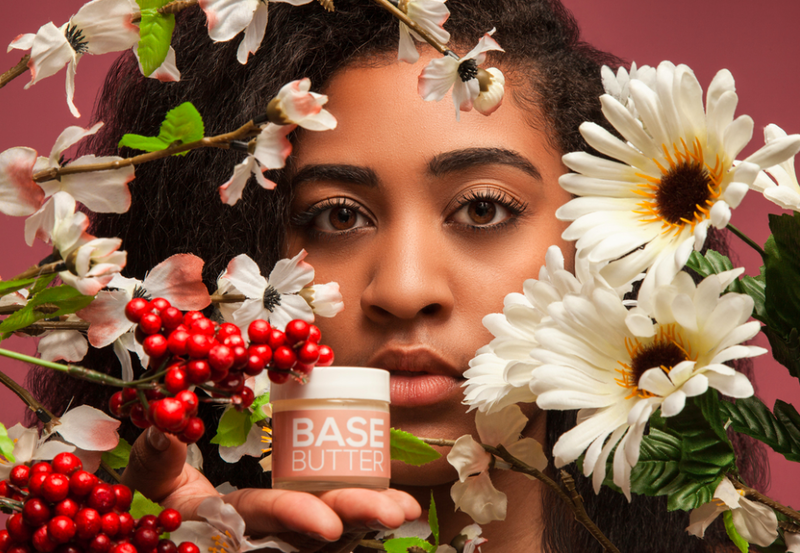 Formulated with SPF 20, BASE BUTTER strives to creative the most pure and natural products for your body; that protect, soothe, and help promote healthy skin. 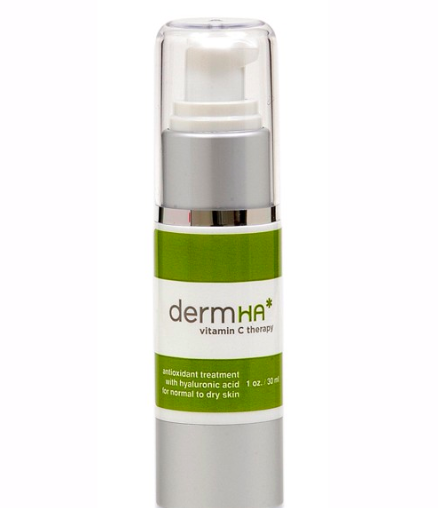 This clinically-formulated therapeutic skincare line is great for sensitive skin. 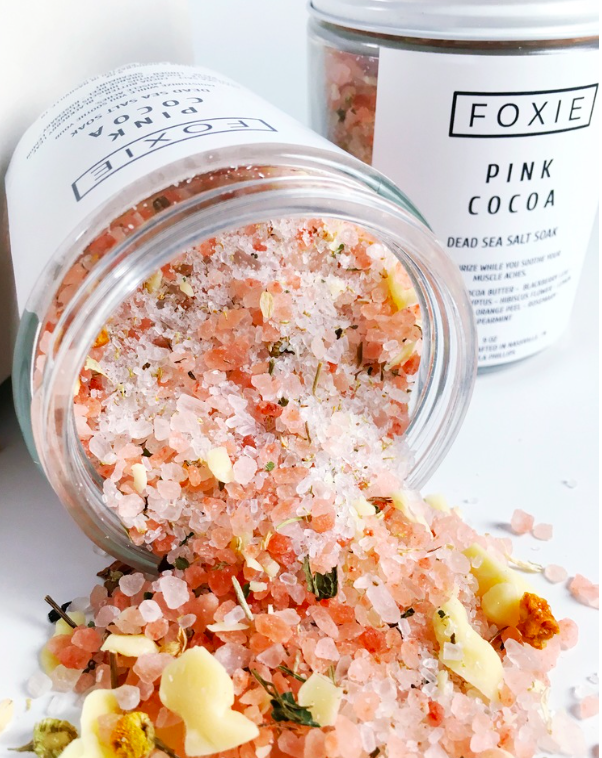 Founded by esthetician Mildred Bell, this line makes products that are fragrance- and alcohol-free. 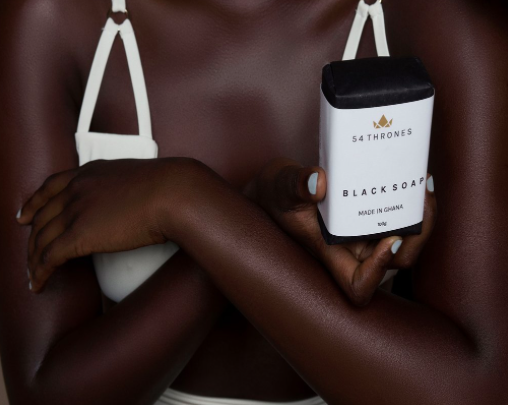 54 Thrones chronicles Africa’s 54 countries first-hand, embracing cultures and curating incredible products to share with beauty lovers. 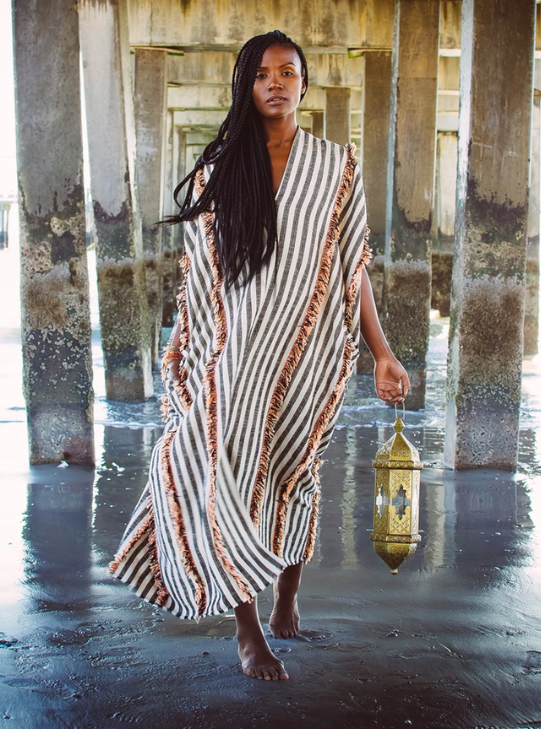 Started by Christina Tegbe, country by the country the brand collaborates with local artisans and returns with authentic, sustainably-made products, wholly made in Africa for you to enjoy. 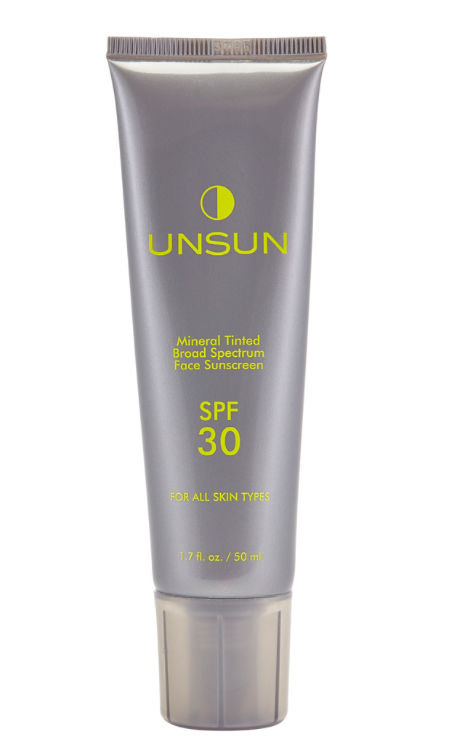 UnSun founder, Katonya Breaux, wanted an all-natural sun protectant without the white residue that many sunscreens leave behind. Consequently, Breaux created a lightweight, mineral-based sunscreen that is perfectly tinted to blend in with multiple skin tones while still providing a gorgeous bronze tone on the fairest skin. 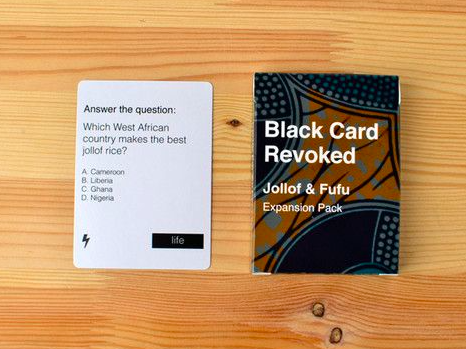 An answer for the culturally curious, Cards For All People makes fun, nostalgia-filled card games that test knowledge of cultural milestones and moments. Cards for All People aims to bring people of all types together through laughter and friendly debate. 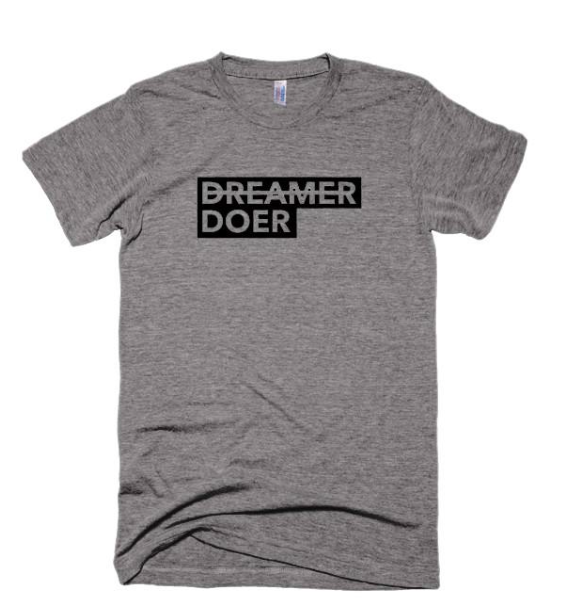 Birthed from the same doer spirit of those who do what they’ve dreamed, awake with a passion to move forward and reject the sidelines, District of Clothing was created to encourage positive messaging, local pride, and a “can-do” mentality. The brand’s clothing is designed for comfort, style, and anyone who goes to bed looking forward to the dawning of a new day. 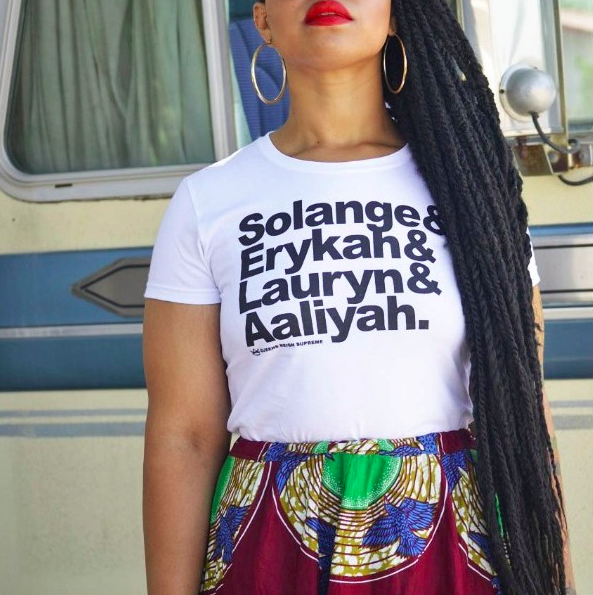 Fanm Djanm, which means “strong woman” in Haitian Kreyol, was founded in 2014 as a collection of eight headwraps, which Paola Mathe sold directly from her apartment on the weekends. Today, Fanm Djanm has transformed into a headwrap collection and lifestyle brand that serves to both empower and inspire women to live boldly. Onion Cut & Sewn, founded by Whitney Mero, provides “beautifully effortless clothes that feel like lotion.” The designer’s dresses, varying in style and design, are sure to bring out the elegance in every woman. 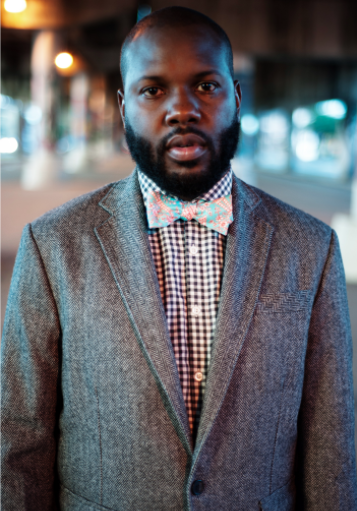 Nestled in the heart of historic Bed-Stuy is a place where lovers of vintage and timeless style meet. Helen Nurse’s TracyChambers Vintage was born out of the love for vintage treasure hunting and is named after Diana Ross’s character in Mahogany, one of the most iconic fashion movies of all time. 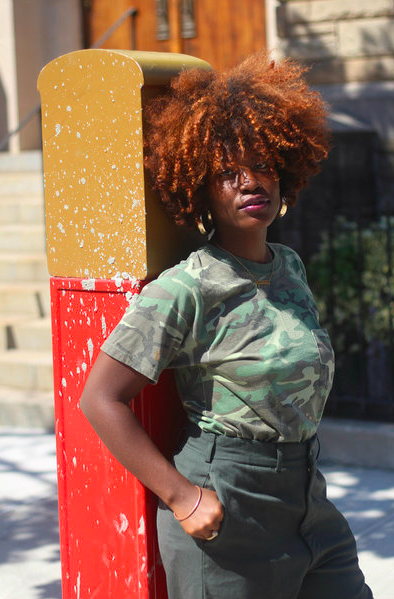 HERthreads is an online vintage boutique as well as a women’s street-wear clothing line inspired by Hip Hop. 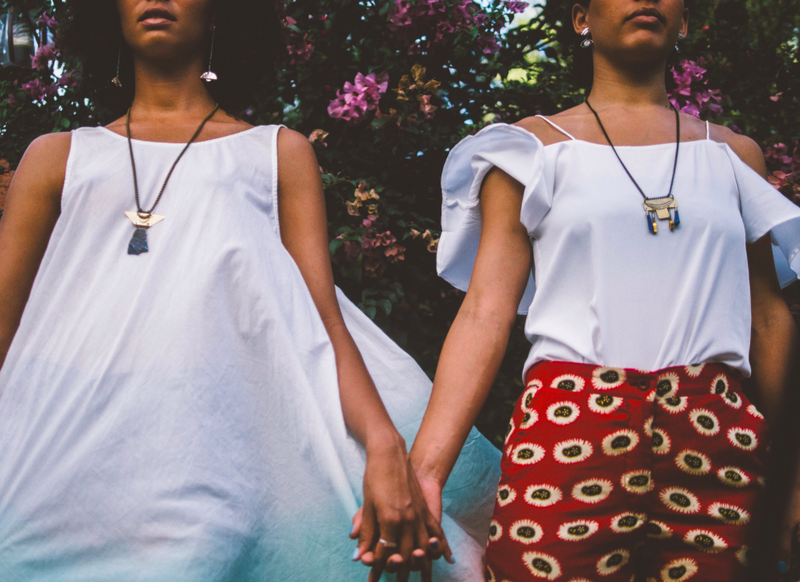 What started off as an idea that formed into a movement, HERthreads’ founders who are also sisters – Lauren and Courtney Warwick – aim to empower women and spread positivity through fashion. 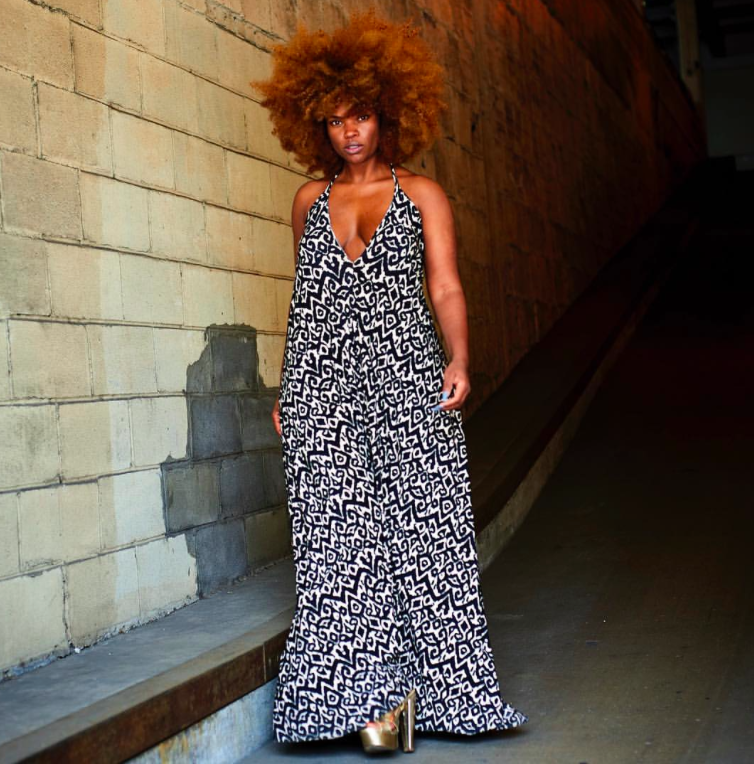 Martine’s Dream is a Brooklyn-based clothing line most noted for its colorful, printed cottens and unencumbered pieces. Inspired by the local as well as global places and people who have had an impact on founder Debbie Hardy over the course of several years, Martine’s Dream is undoubtedly unique and timeless. 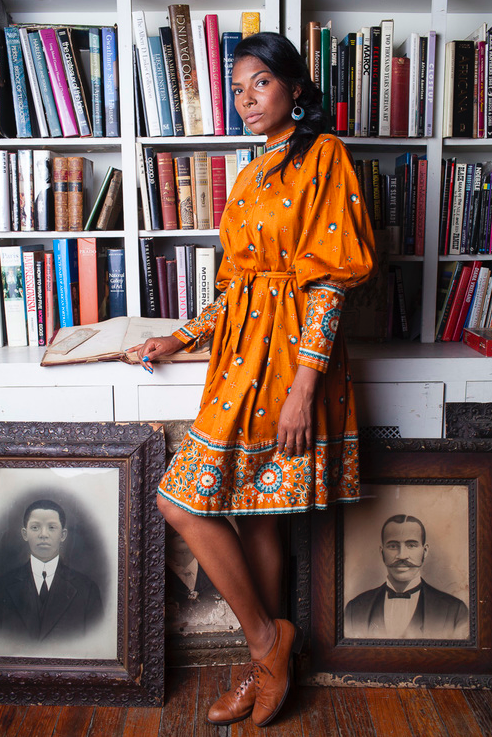 In March of 2013, Khalilah Beavers officially opened the doors of Shirley + Alice Vintage and Indie Designer Boutique in the historical neighborhood of Bedford-Stuyvesant, Brooklyn. The boutique was named after her grandmothers, Shirley Webb and Alice Holland—two women who played a monumental role in Khalilah’s life, as well as in her love, admiration, and appreciation for fashion. 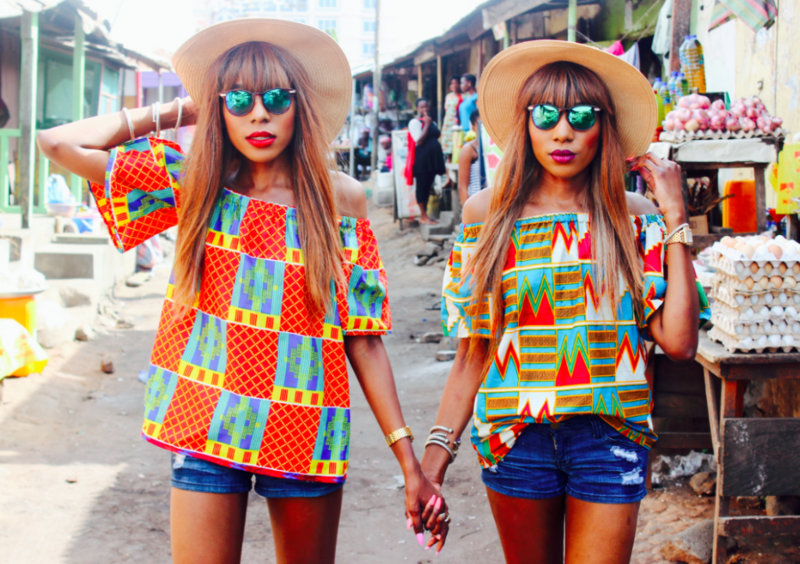 Danielle and Chantelle Dwomoh-Piper are models, bloggers and designers based in New York. Since the start of their journey in fashion, they have been blazing the fashion trail with features in several media outlets and have exhibited at fashion weeks all over the world. 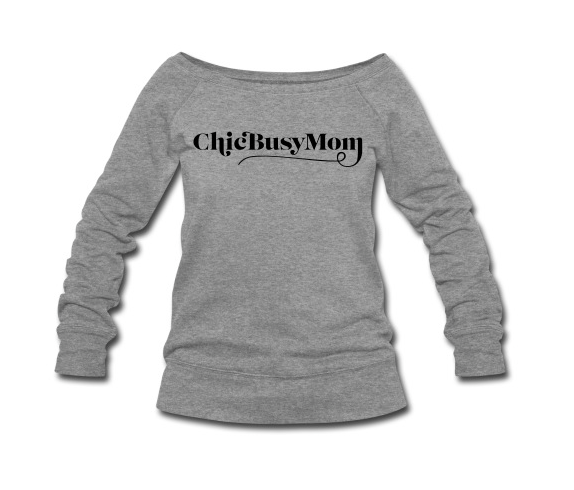 Chic Busy Moms, created by Candace Montgomery, is a collective community shining a spotlight on motherhood. Rock your momness like a badge of honor with your pick of Chic Busy Mom’s wide assortment of apparel and accessories. 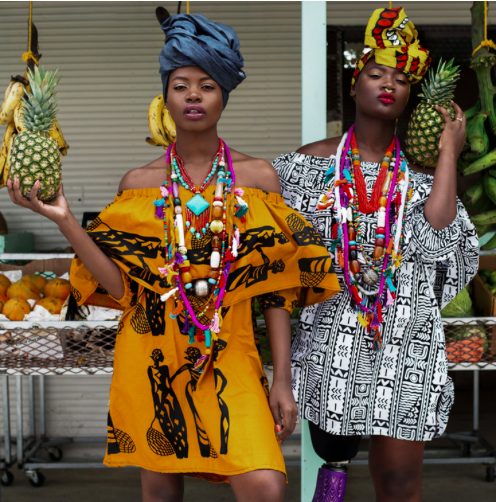 Andrea Iyamah owned by Nigerian fashion designer Dumebi Iyamah, is a clothing line strongly inspired by color and ethnic cultures. 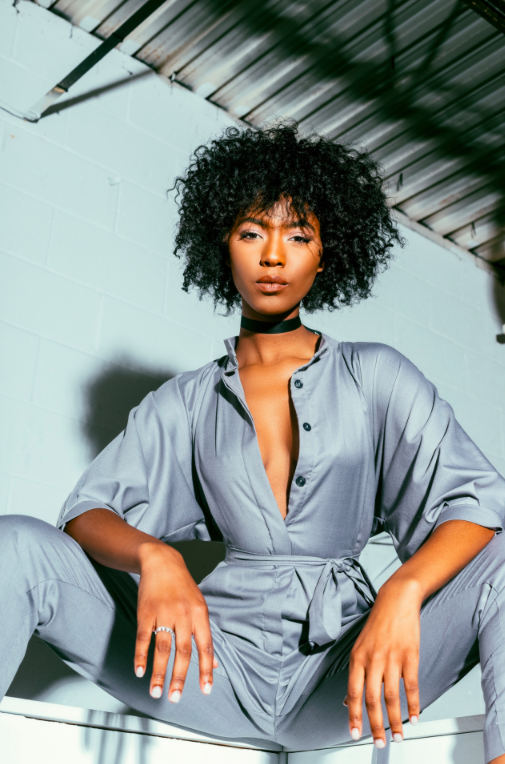 Located in Ontario Canada, the brand caters to women across borders looking to rock a fabulous piece to an event or an edgy bathing suit on a steamy vacation. Hanifa, designed by Anifa Mvuemba, is a Ready-to-Wear (RTW) designer line which features contemporary apparel for women. Feminine with chic simplicity, Hanifa features an array of styles, colors, textures, and exclusive patterns that cater to a woman’s body. 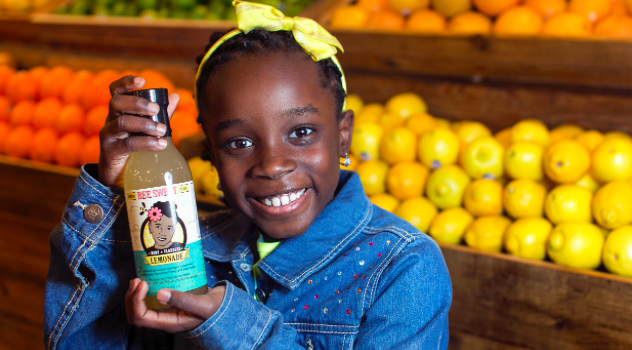 When she was just 11-years-old, Mikaila Ulmer founded Me & the Bees Lemonade. Let that sink in. Today, the award-winning brand is buzzing off the shelves of Whole Foods Market, the world’s leader in natural and organic foods, and available at a growing number of restaurants, food trailers and natural food delivery companies. 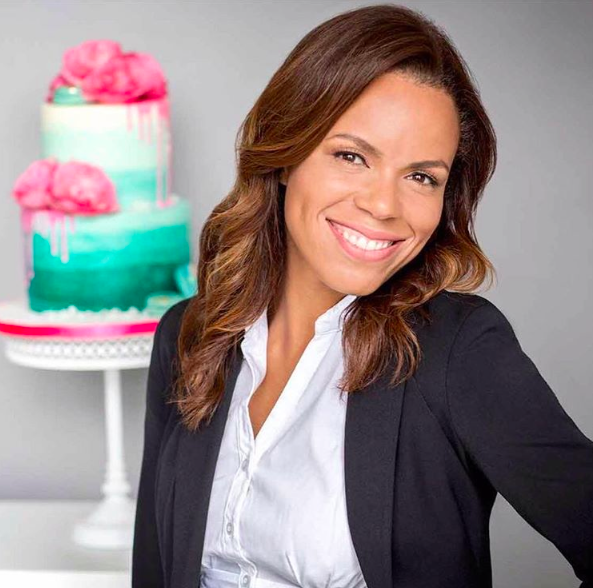 Miriam Milord’s BCakeNY is a custom cake studio dedicated to creating specialty cakes for every occasion. Their mission is to transfer your vision into extraordinarily unique and delicious cakes. 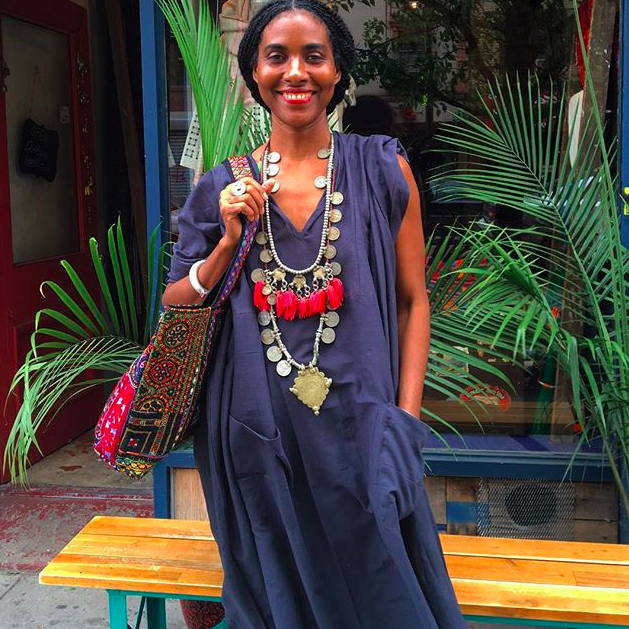 New York natives, Achuziam Maha-Sanchez and husband Lionel Sanchez have created a store combining each other’s eclectic and global tastes. Coming from African and Caribbean heritages, there’s a feeling of being transported as you enter this Bed-Stuy boutique. Achuziam, an interior designer, brings her impeccable taste to the offerings displayed and also has a vast design knowledge base that is a perfect fit for the beautiful brownstones that surround the area. rayo & honey combines black popular culture with a clean modern design aesthetic. 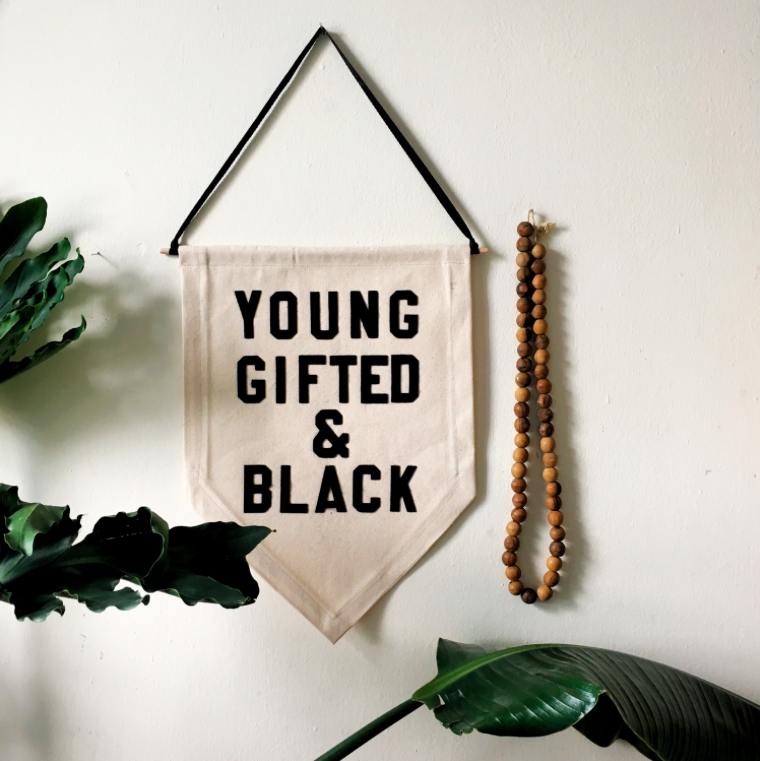 Bold crisp text reminiscent of pop art motifs that incorporate a modern element, Roachele Negron’s pennants are each cut, pieced and designed by hand in her studio utilizing 100% organic cotton, black cotton, oak and laser cut felt. 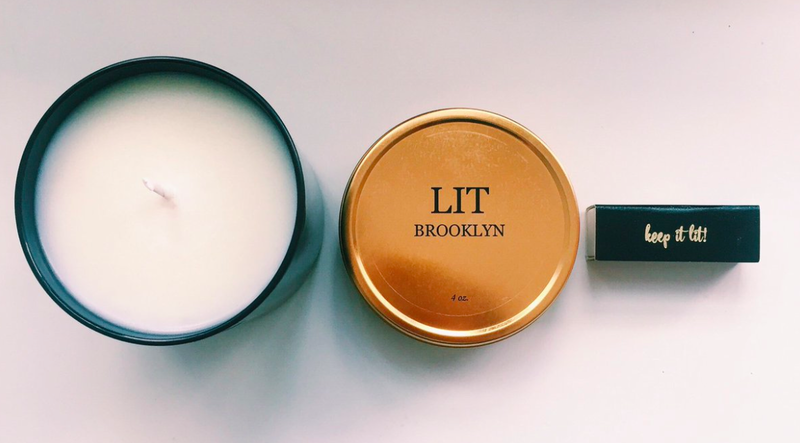 Founded by Denequa Williams, each LIT BKLYN candle is hand poured, packaged, and shipped from Brooklyn. 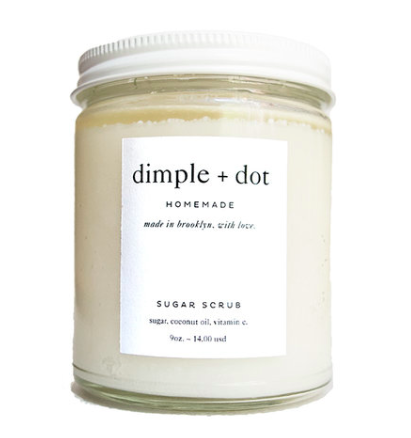 The brand sources only the highest quality ingredients, which include 100% natural soy wax and fine fragrance oils. 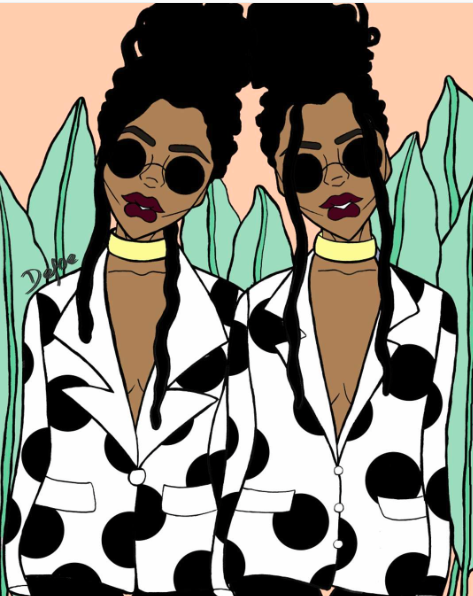 Sherrill Defoe of Defoe Studio is a talented illustrationist who creates everything from original paintings, apparel and drinking wear among other items all with a celebratory “Black Girl Magic” twist. 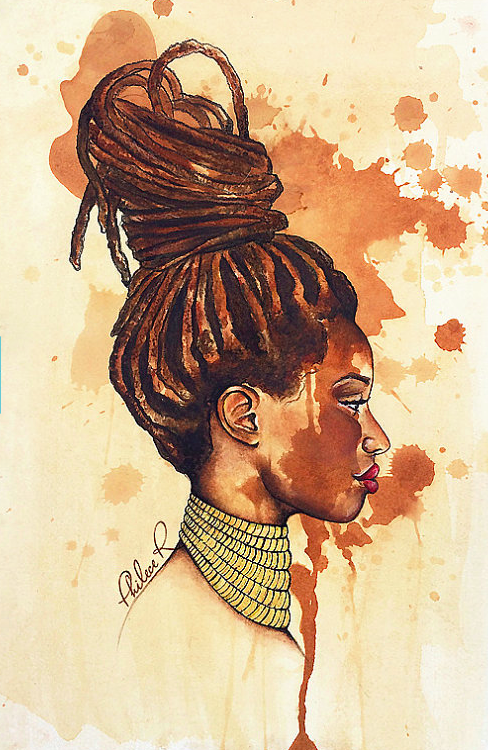 Intrigued by the many layers of human emotion, fine artist and graphic designer Philece R. explores bold contrasts and rhythmic movement through back and white, vivid color and the multifaceted beauty of feminine energy. With admiration and respect for the old and appreciation for the new, she employs traditional and digital techniques separately and simultaneously to create a movement of emotions. Tactile Matter is collection of stoneware ceramics by illustrator Kenesha Sneed. 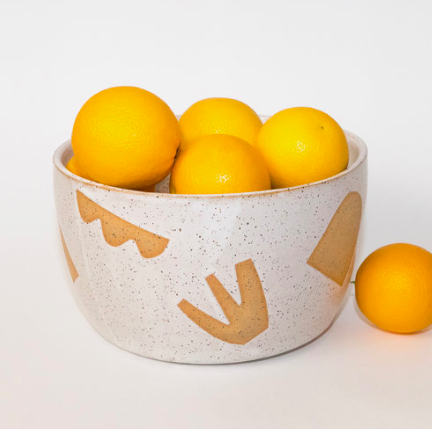 Influences drawn from her desert and coastal roots of Southern California are shown in each piece, which are all hand-crafted with love in her Los Angeles studio. Named after its founder, Rochelle Porter Design (RpD) is an Atlanta-based lifestyle brand that’s big on sustainable textile and product design. 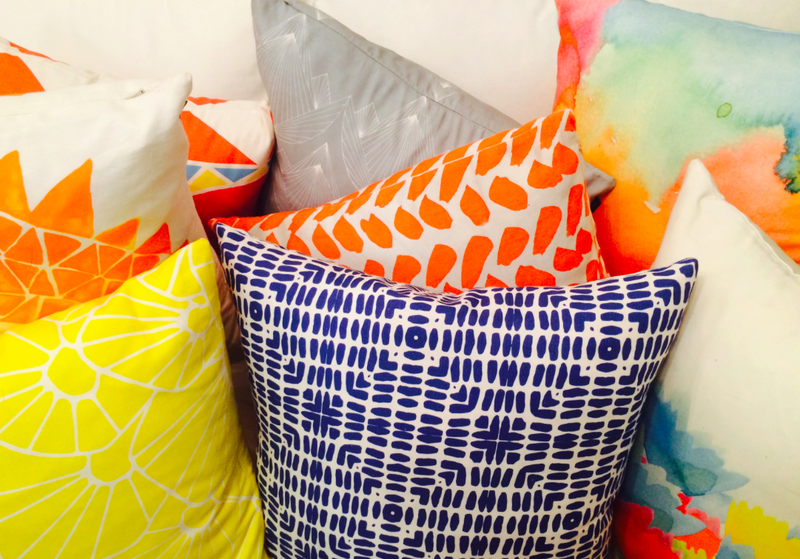 From vibrant abstract watercolors to crisp black and white motifs, Rochelle’s textiles and homegoods are marked by a global sensibility and playful vibe. 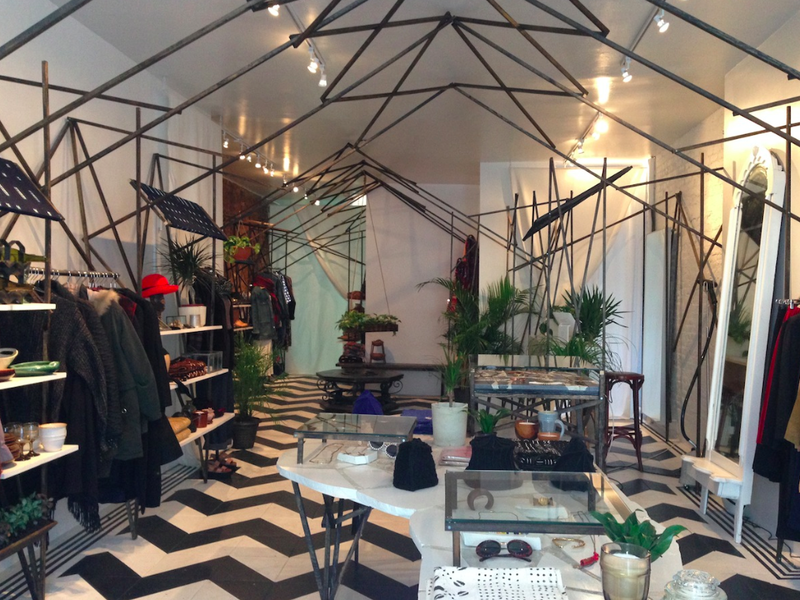 Marche Rue Dix is cultural concept store located in Crown Heights, Brooklyn. Since opening its doors, owner and operator Nilea Alexander has become known for keeping a stock of curated vintage clothing, jewelry and home goods in addition to carrying imported coffees, teas, spices and all-natural skin/hair care products. 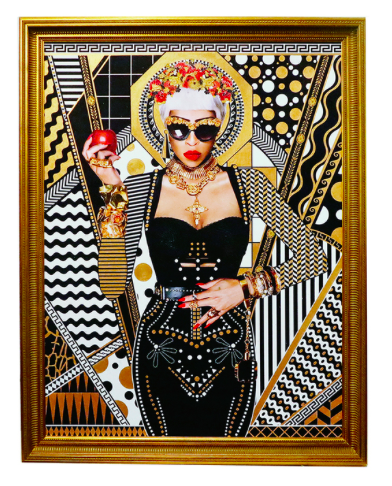 Lina Iris Viktor is a conceptual artist and painter who works across multiple mediums while adhering to the colour palette of only blue, black, white and pure 24-karat gold. Moreover, Viktor’s art “fuses apparent contradictions, synchronizing the monumental and the minuscule, decadent and the minimal, the spectacular and the invisible, seeking to heighten the experience of the spectator by creating immersive environments that transport the viewer into her world. 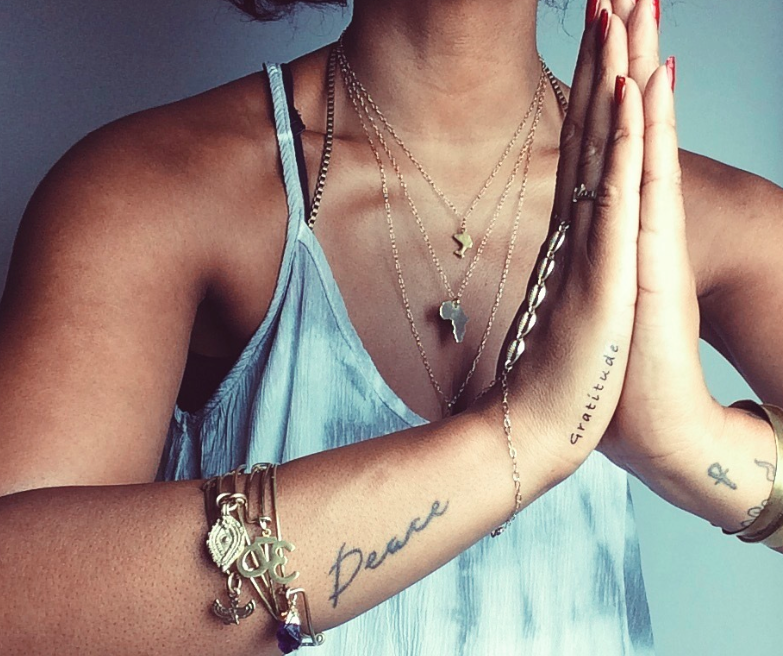 Peace Images was founded in 2008 by Camille Peace and continues to expand as a widely-known jewelry line loved and worn by many. Established in 2011 by Candice Cox, CanDid Art Accessories is inspired infinitely by research and affinity with African visual culture, indigenous design vernacular, and cosmic geometry. Each piece is handcrafted and is created for the fearless fashion enthusiast who desires to make a statement without saying a word. Handmade nose rings, earrings, septum rings , bracelets, hair jewelry and more for the chic and shabby. MeharyJewl is a lifestyle jewelry brand that was founded by Elsa Mehary to honor her grandparents and American/Ethiopian heritage. The line’s bold pieces evoke a desire to honor the body as temple and to feel beautiful both inside and out. Launched by Alita Hilton-Daniels, the goal of Silly Simone is to create fun custom handcrafted jewelry that inspires you to be creative. Silly Simone wants you to realize that it’s OK to be a little silly, even in fashion. Alita wants you to be inspired to think outside the box as she provides you with fun, quality jewelry pieces unique to you. 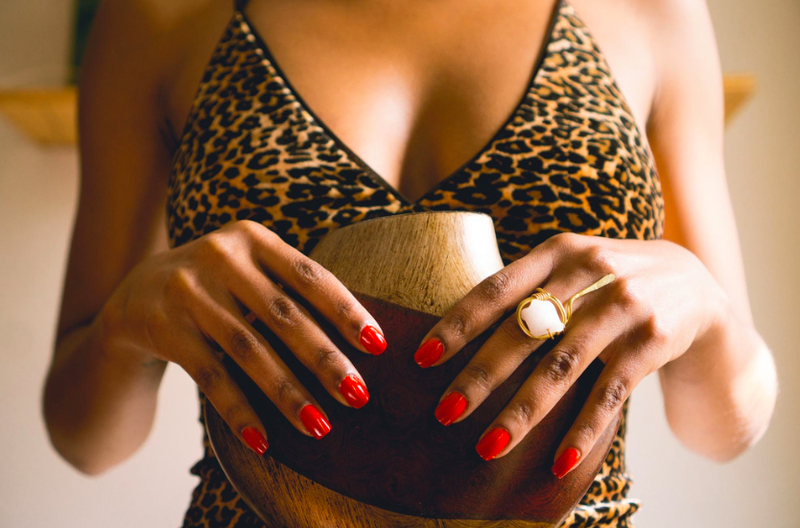 Asia Clarke is a magical wild woman and Toronto based jewelry designer. Wild Moon Jewelry 2016 Collection has been inspired by purposeful practice, spiritual intention and the call to reconciliation. Wild Moon Jewelry is a proclamation of self, bravery, and inspiration and the collection lies on the border of fine jewelry and a nature-inspired and industrial aesthetic of every day jewelry. 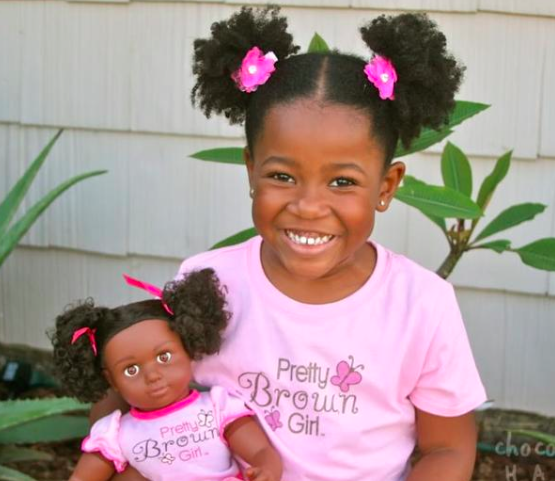 After recognizing the need to address the harmful messages about skin tone and beauty in media, Sheri Crawley and her husband Corey founded Pretty Brown Girl and created The Pretty Brown Girl Doll, Laila, among other products. The lifestyle brand’s mission is to address adverse social issues affecting girls of color through self-acceptance and leadership development programs in an atmosphere of celebration, empowering them to fulfill their dreams and promote positive change in their communities. 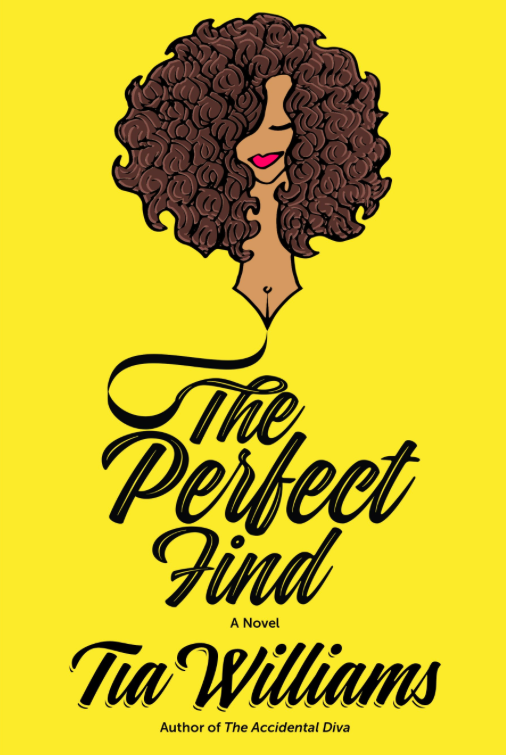 Written by beauty industry maven and author Tia Williams, The Perfect Find shares the story of Jenna Jones. The main question posed: Will a forty-year-old woman with everything on the line – her high-stakes career, ticking biological clock, bank account – risk it all for an intensely lusty secret romance with the one person who could destroy her comeback, for good? 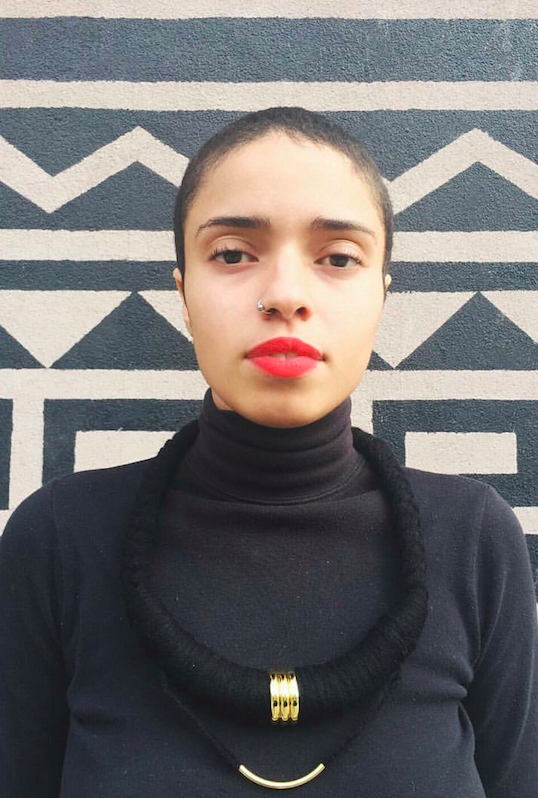 CRWN Magazine, started by Lindsey Day and Nkrumah Farrar, resets the standards for Black beauty. 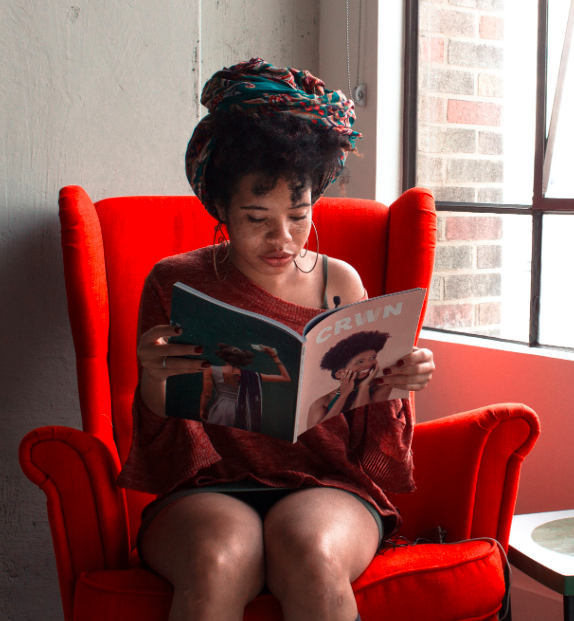 The magazine’s mission is to be the most beautiful and honest representation of Black women in the history of print. If you want to experience your hairstory authentically presented on paper (finally), order your issue today! 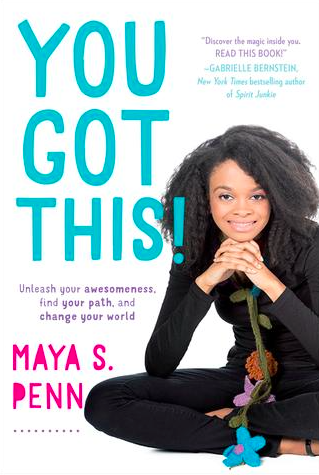 Everyone is talking about the entrepreneur, animator, eco-designer, and girls’ rights activist Maya Penn, 16. Her TEDWomen Talk has been viewed over 1,200,000 million times (and is one of the top 15 TEDWomen Talks of all time). Now this amazing teenager has written an inspirational handbook for teens and young adults to help them discover their passions and maximize their full potential for a creative, successful life. 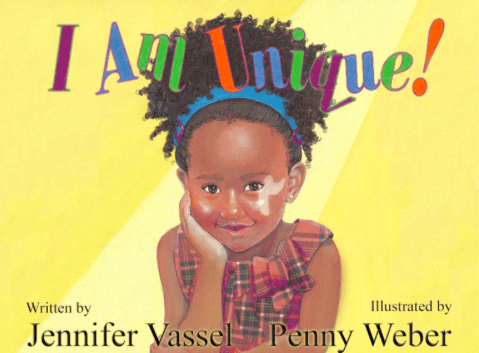 I Am Unique!, written by author Jennifer Vassel, is a story about self-love and sharing your unique gifts with the masses. Erin is the main character of the story. She has a birthmark and a passion for acting. Erin wants to try out for the leading role in her school’s play, but when her best friend questions whether she would suit the role because of her birthmark, she has to decide if she’s going to let a perceived “flaw” get in the way of her dream. 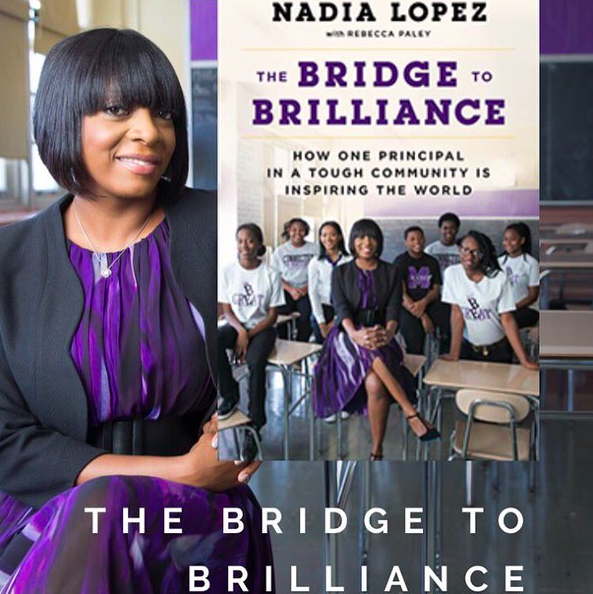 The Bridge to Brilliance details Dr. Nadia Lopez’ journey to starting her middle-grade public school, Mott Hall Bridges Academy, in one of America’s poorest communities: Brownsville, Brooklyn. Despite challenges, The Bridge to Brilliance is a book filled with common sense and caring that carries a message of resilience to inspire classrooms across the world. 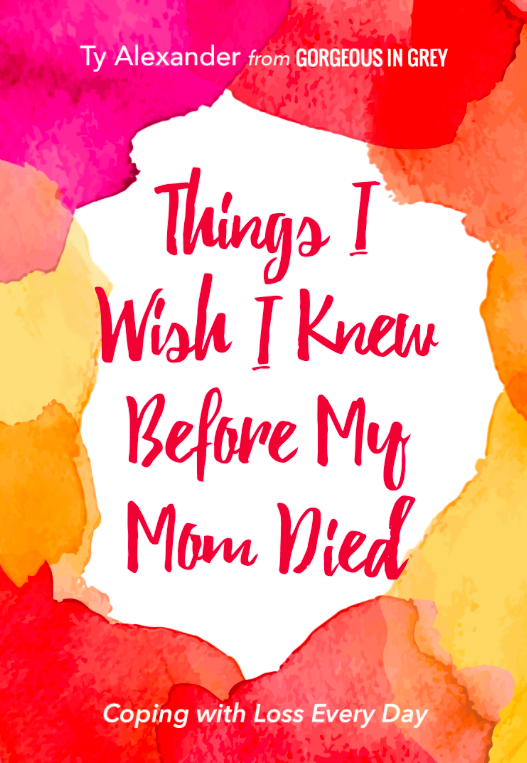 Learning from her pain, blogger Ty Alexander connects with readers on a deeply emotional level in her debut book, Things I Wish I Knew before My Mom Died. From grief counseling to sharing insightful true stories, Ty offers comfort, reassurance and hope in the face of sorrow. In this soul-touching book, mourners will find meaning and wisdom in grieving and the love that will always remain. 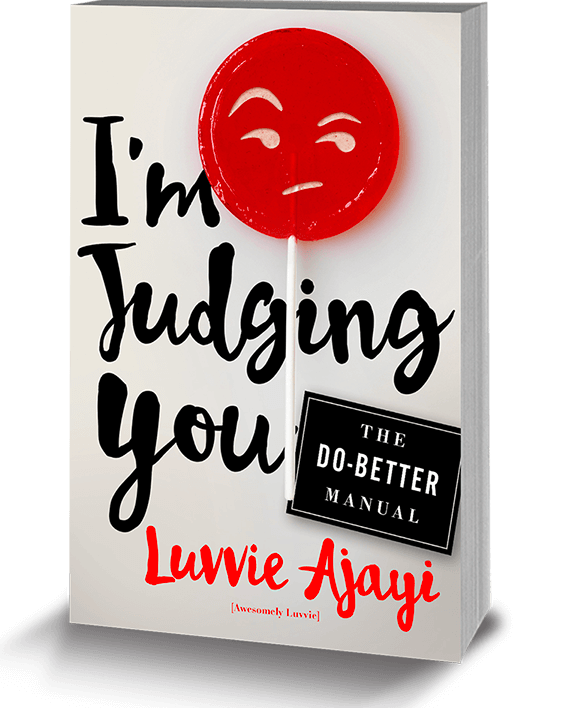 Comedian, activist, and hugely popular culture blogger at AwesomelyLuvvie.com, Luvvie Ajayi, serves up necessary advice for the masses in this hilarious book of essays that dissect our cultural obsessions and call out bad behavior in our increasingly digital, connected lives. With a lighthearted, razor sharp wit and a unique perspective, I’m Judging You is the handbook the world needs, doling out the hard truths and a road map for bringing some “act right” into our lives, social media, and popular culture. 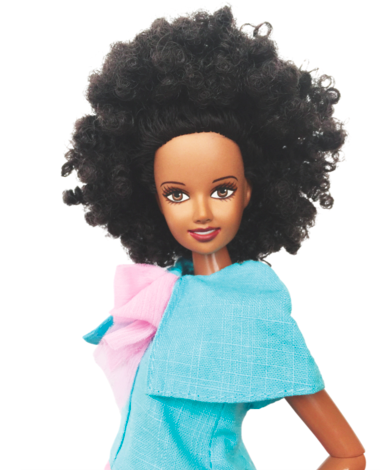 Lifestyle guru and noted author, Kalyn Johnson Chandler, is the founder and creative force behind effie’s paper. 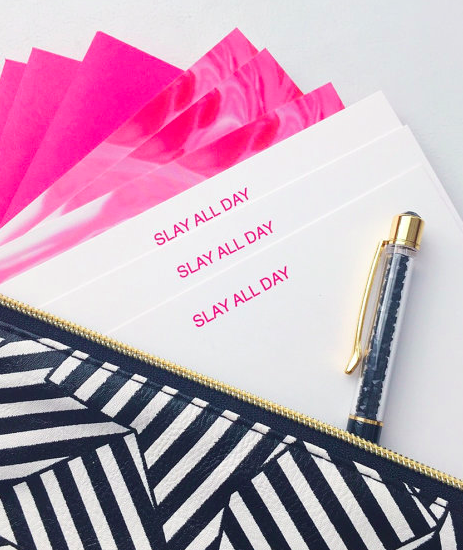 The brand offers a line of fine stationery that will satisfy the needs of today’s busy professional, mom or social butterfly as it’s created for those who enjoy sending and receiving beautifully-designed, hand-written notes. 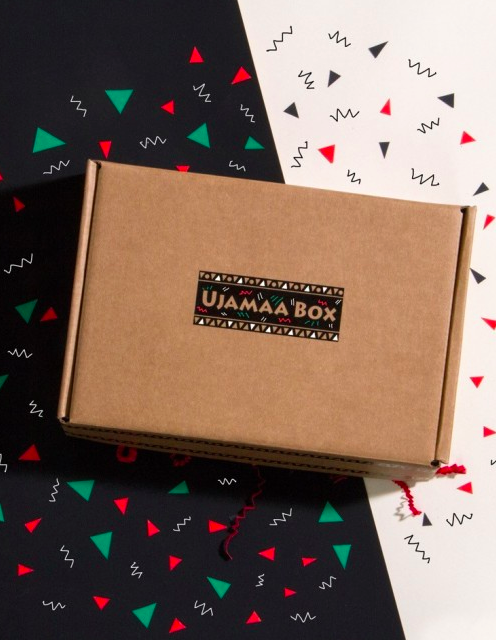 The impetus for Ujamaa Box as an idea began when our founder, Ebony Costain, read the book, Our Black Year: One Family’s Quest to Buy Black in America’s Racially Divided Economy by Maggie Anderson. The subscription box now fully functions as an accessible and modern way to showcase black-owned business and products. Onyx Box founders, Delali Kpodzo and Myriam Bocobza, created We Are Onyx to encourage beauty discovery and knowledge sharing for the benefit of every OnyxGirl around the world. 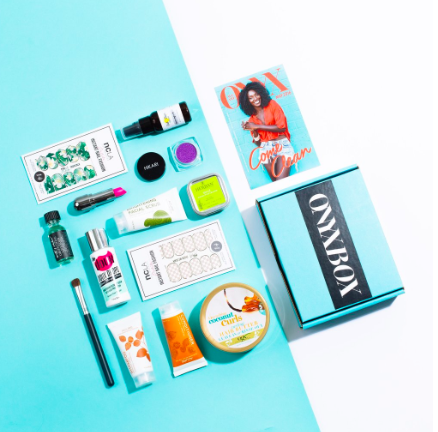 The subscription box’s mission is to educate and empower our OnyxGirls to embrace and take charge of their own beauty. Rose Espiritu’s Culture Chest is a monthly cultural celebration. 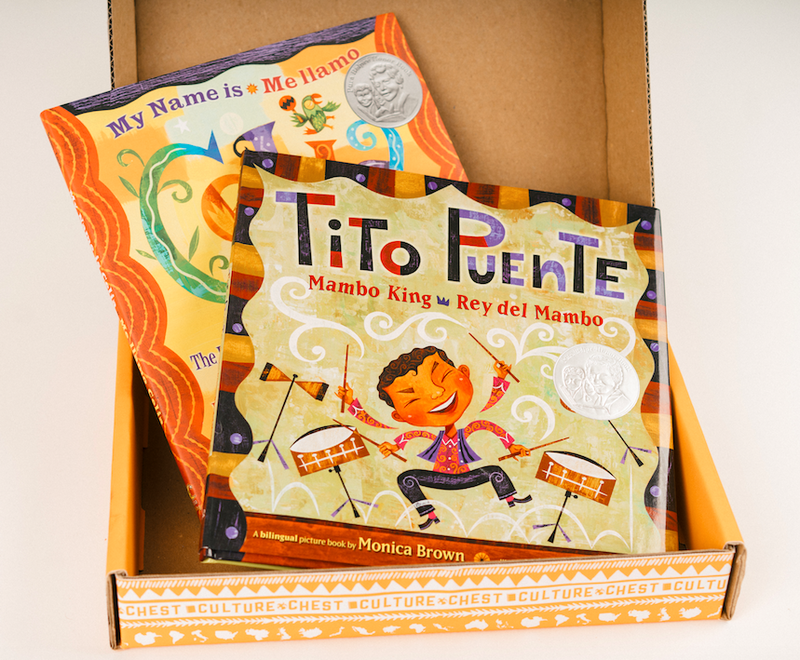 Each month, subscribers receive up to three books and and surprise activity or item designed to teach youngsters about different cultures in our growingly interconnected world. GeenieBox, developed by founder and CEO Chana Ginelle Ewing, reveals the stories of iconic Black women who create and spearhead their own lanes. 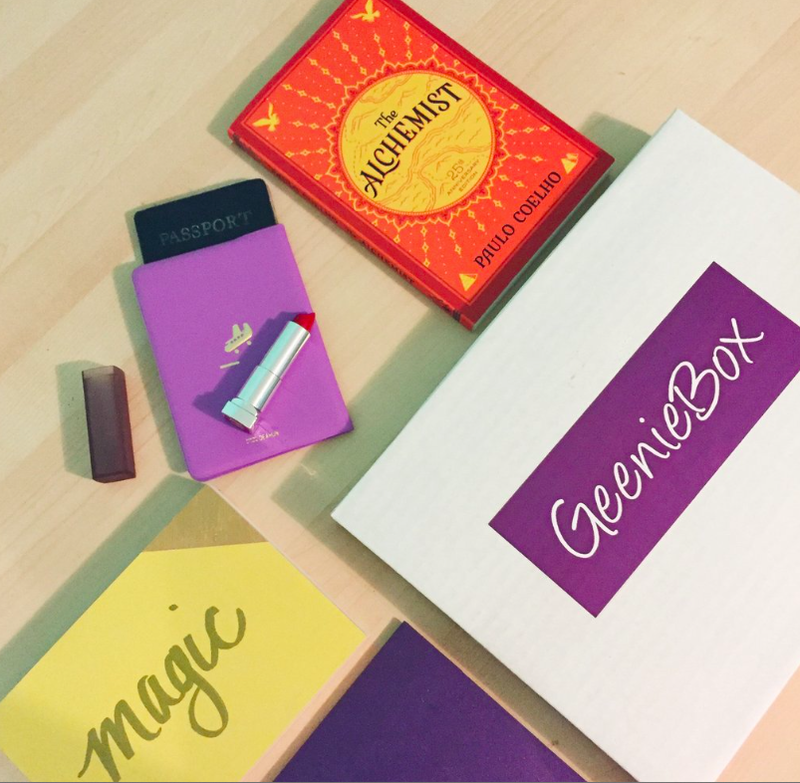 Each month, the box is curated by a different “Geenie” and features books, products and experiences to aid subscribers on their journey to success. 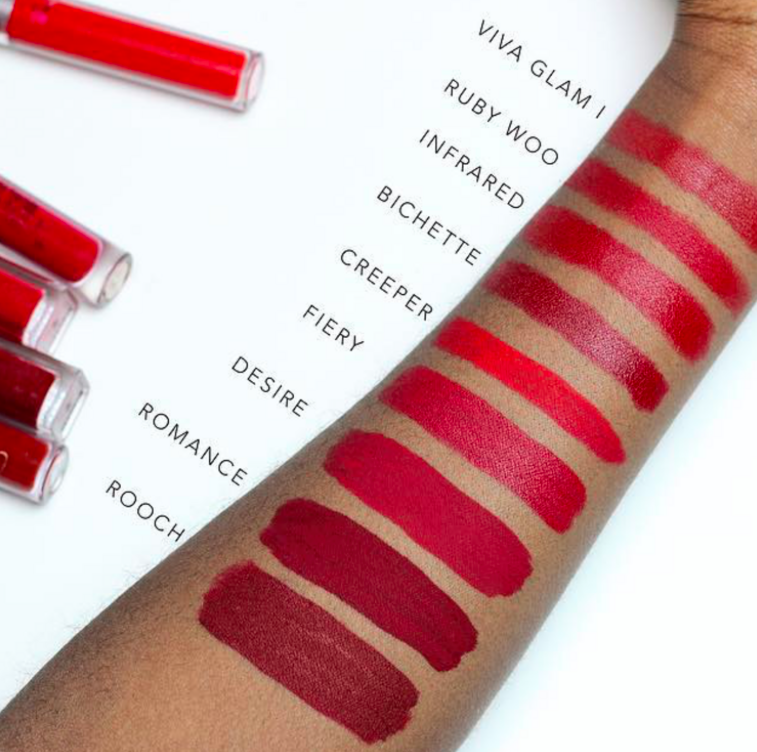 Ofunne Amaka’s Cocoa Swatches mobile app provides the latest makeup swatches on underrepresented complexions with a few extra perks. It’s the makeup bestie you can carry in your pocket that helps beauty lovers make confident and informed purchases. 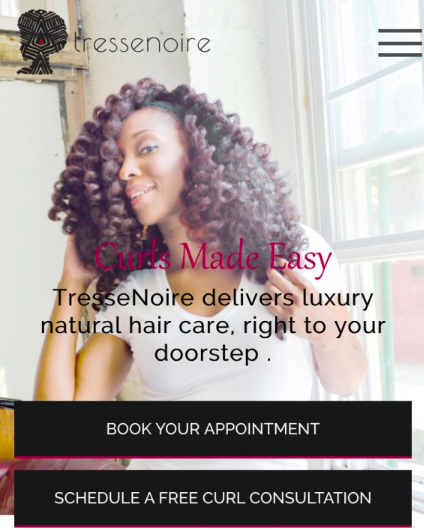 TresseNoire, which was started by Regina Gwynn, provides on-location beauty services for women of color in New York City and Philadelphia. The service works by prompting users to choose a hairstyle from a curated style gallery, request an appointment and after a customized curl consultation, experience a luxury style session within the privacy plus convenience of their own homes. Cast Beauty is an innovative new mobile platform by Sian Morson that provides personalized skin and hair products based on data entered by users and the weather. 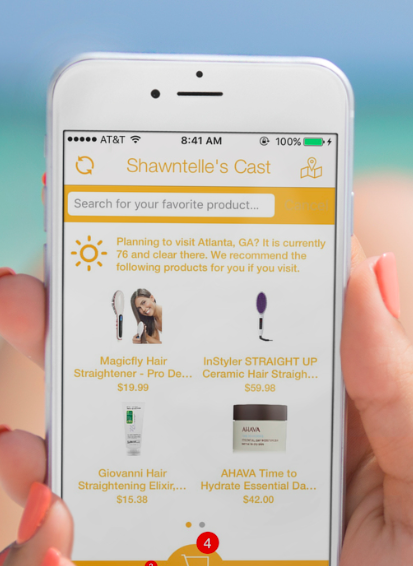 It works by offering up-to-the-minute weather information that is then used, along with a user’s unique skin and hair profile, to determine what products to recommend. 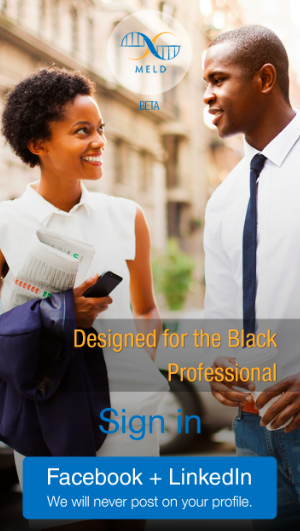 Meld is a revolutionary dating app founded by Raissa Tona and Wale Ayeni that joins together groups of Black professionals onto a single platform for social and romantic discovery. 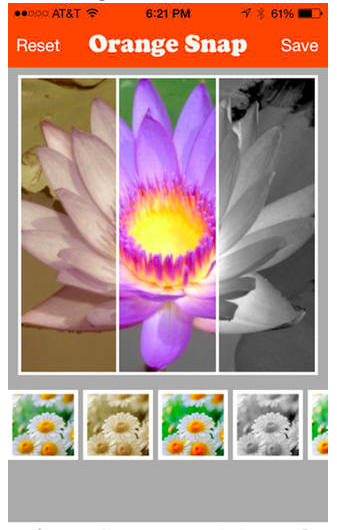 Orange Snap by Sheena Allen adds multiple filters and frames on photos with Orange Snap. Afterwards they can be uploaded to Instagram, Facebook, Twitter, and Tumblr. Ready for even more amazing products created by fly female entrepreneurs? 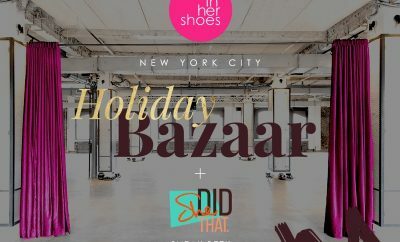 Check out last year’s In Her Shoes Gift Guide featuring 75 additional brands to love, shop and support by clicking here!